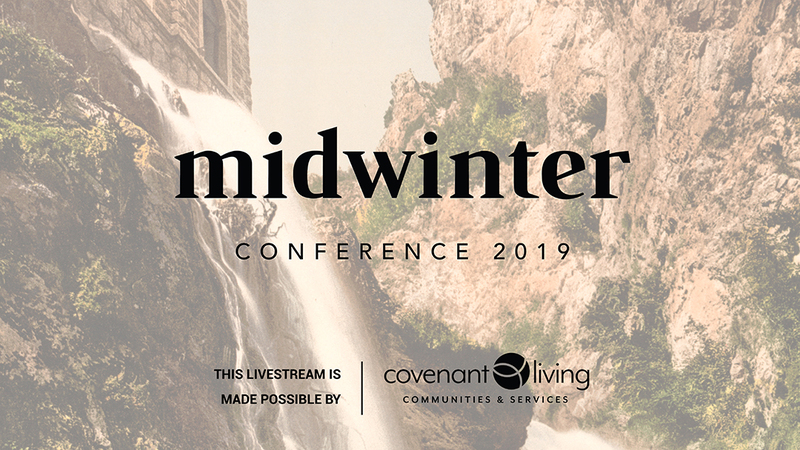 DENVER, CO (January 18, 2019) – The main sessions of the Midwinter Conference will be livestreamed on the event’s website and Facebook page. The conference runs from Monday through Friday at the Sheraton Denver Downtown Hotel. All times are Mountain. The livestream is being sponsored by Covenant Living Communities and Services, the fifth largest not-for-profit senior living and service organization in the country. It is an affiliate ministry of the Evangelical Covenant Church. Also, be sure to follow the entire event on Facebook, Twitter, and Instagram and share your experiences with the hashtag #Midwinter2019.